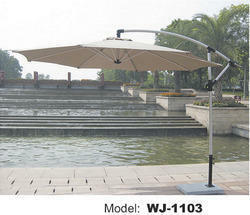 Garden umbrella - 25 kg marbal bass , ms freming with the pouder couting non water prouf cloth , size - 9 ft round , side pool umbrella, fresh and new pice avilable in stock. 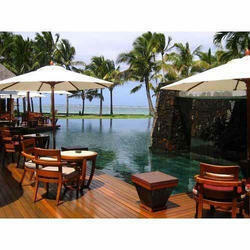 We are one of the leading manufacturers and suppliers of a designer range of Red Outdoor Umbrellas. Height (Inches): 40" & 42"